A key factor, not only for real estate investing as a whole, but to ensure the lifestyle that best suits you, is choosing the right neighborhood in which to buy your vacation home or retirement property in Puerto Vallarta. One popular choice for foreigners moving to Mexico is Cinco de Diciembre. Let’s look at a few reasons why this neighborhood may appeal to you. 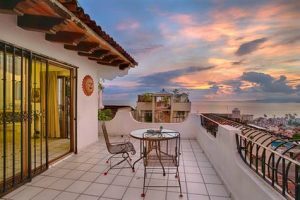 Cinco de Diciembre is nestled between the Hotel Zone and downtown Puerto Vallarta, giving homeowners easy access to the both ends of the city as well as walkable access to the beach. While a traditional Mexican neighborhood, this part of town offers a very active social life for expats with numerous bars and restaurants that are favorite hangouts for happy hours, mixers and watching international sports events. 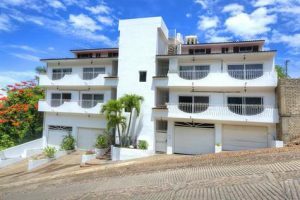 Homes in this area range from single family houses built in the traditional style, many renovated with luxurious upgrades and others retaining their original charm, and apartment buildings, both new and re-sale. Well-established Neighborhood Watch groups in this area function both in English and Spanish, making this a safe and neighborly area for Mexicans and foreign residents, alike. 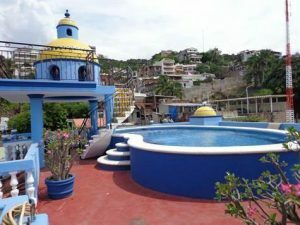 The lovely Playa Camarones is the closest beach to this area, featuring beach clubs and restaurants, and the Malecon is a short stroll from most homes. The Municipal Stadium is also located in this neighborhood and is the perfect place for getting some exercise outdoors on the full-sized running track. Cinco de Diciembre is a safe, walk-able, friendly neighborhood, perfect for anyone looking for a nice mix of authentic Mexican lifestyle with convenient access to services, and an active social climate that still offers peaceful living. It may just be your perfect Puerto Vallarta neighborhood.